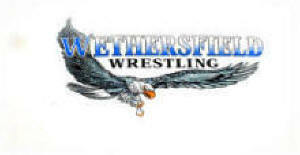 On November 7th 2004, Coach Peter Thompson's 1977 Wrestling Team was inducted into the Wethersfield Alumni Athletic Hall of Fame. The team compiled the programs best ever season dual meet record of 13-1-6 and went on to capture the CIAC Class L State Title. This was the first State Wrestling Championship Title in WHS history. Jay Damato, Keith Saunders, Joe Garcia, John Poulos, Chris Stevens, Phil Carpino, Jim Campanello, Chris Lyons, Myron Dytiuk, Peter Godson, Chuck Hamel, Joe Inturri, Lyle O'Connor, and Dave Molchan, Head Coach Peter Thomspon and Assistant Coach Richard Scopetto. Sal Guerrera - 2nd Place 105 lbs. John Guiliano - 5th Place 98 lbs. Steve Hartnett - 5th Place 126 lbs. Sal Guerrera - 5th Place 119 lbs. Dennis Kerrigan - 5th Place Hwt. Sal Guerrera - 3rd Place 126 lbs. Jim Moshovos - 5th Place 98 lbs. Jim Moshovos - 6th Place 119 lbs. Paul Cholewa - 6th Place 138 lbs. John Steinmetz - 6th Place 185 lbs. Jarrod Moon - 5th Place 135 lbs. Each year this award is given to the wrestler who makes that "second effort", who contributes to his team spirit of never-say-die, of untiring encouragement to others. Who, by his leadership shall lead all his teammates in life to believe that one man's contribution is liked to "the grains of sand that become a mountain".